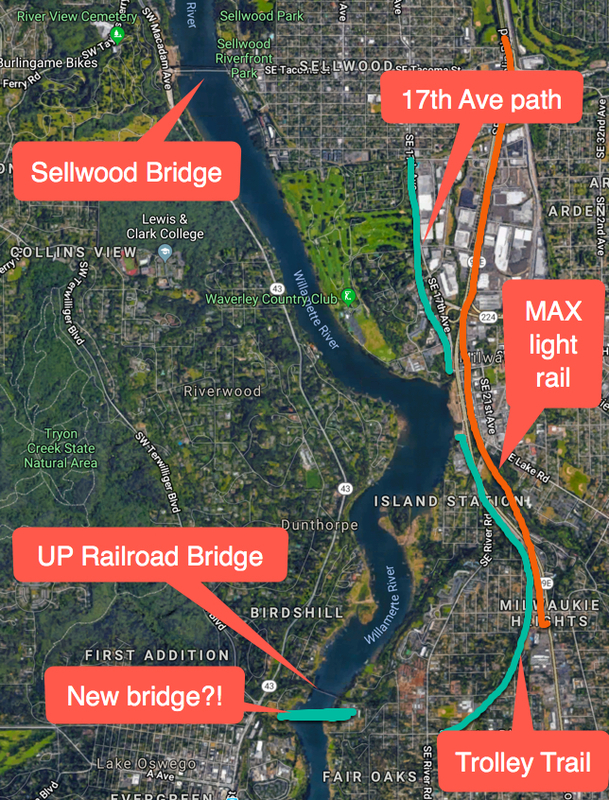 A cycling and walking bridge over the Willamette River between Lake Oswego and the Milwaukie/Oak Grove area has been dreamt about for decades. But now, in part due to completion of the Portland-Milwaukie MAX light rail line and the success of the Trolley Trail, there’s new momentum to actually build it. There are many signs along the route to help you along. — This post was submitted through our subscriber post system by Adam Herstein. It’s open! And it’s really nice! 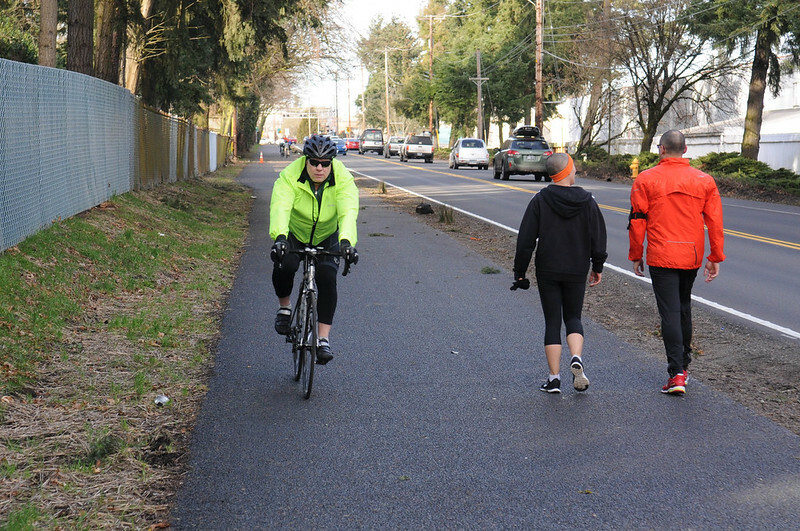 A new path now connects Sellwood to Milwaukie, making the one-mile distance between them feel much shorter. A BikePortland Get Together in Tigard in 2010. 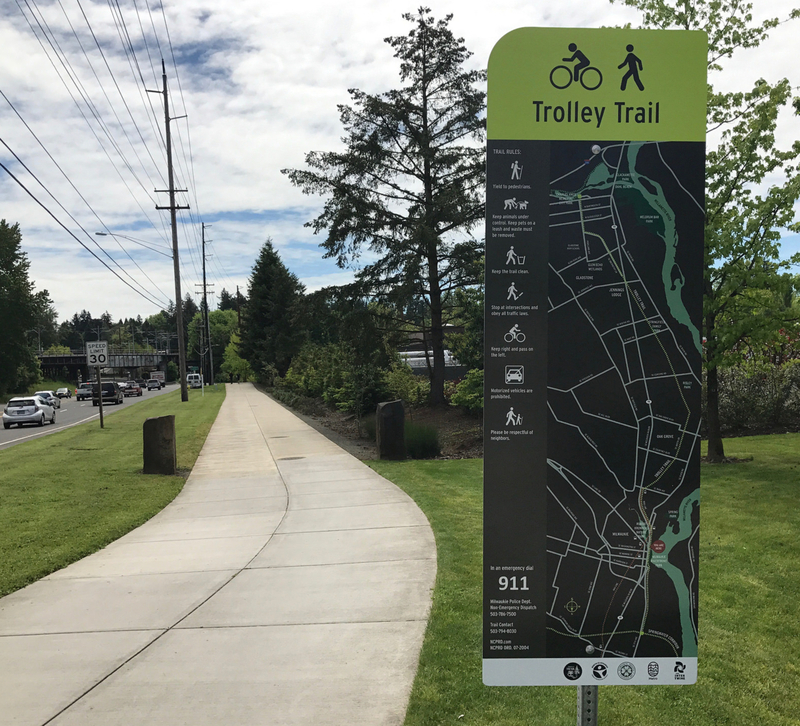 The city’s trail system consistently ranks highly for state grants. 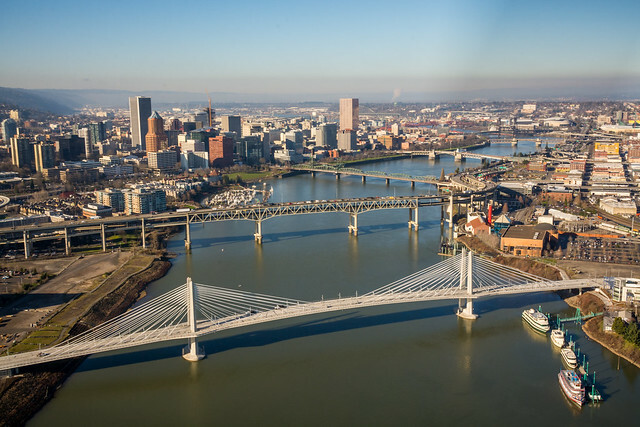 As we reported Wednesday, Portland’s proposed Flanders Crossing Active Transportation Bridge across Interstate 405 made the cut for probable funding from a two-year, $45 million state program. On Friday, the state released a full list of 75 project rankings from the final review committee for the lottery-backed Connect Oregon program. Of those, 37 fit into the top-priority $45 million worth of projects. 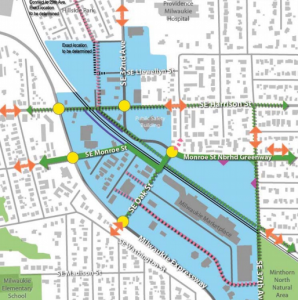 Plans for downtown Milwaukie’s bike network. 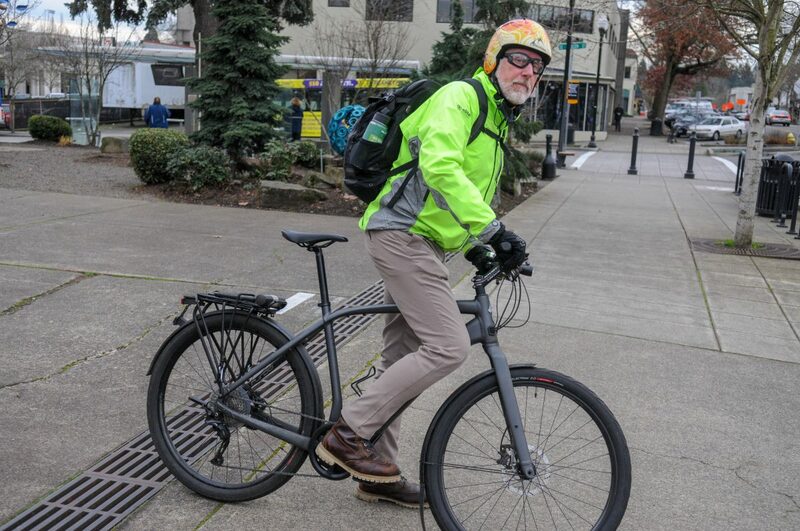 One year after Milwaukie voters elected two vocally bike-friendly politicians to their city council, Milwaukie is lining up some significant investments. 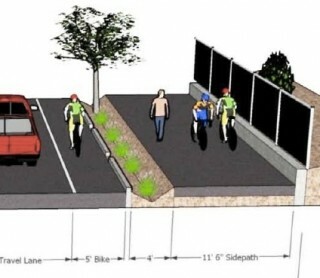 The biggest new one in the works, a crosstown neighborhood greenway on Monroe Street, will get its first public meeting at city council on Nov. 3. 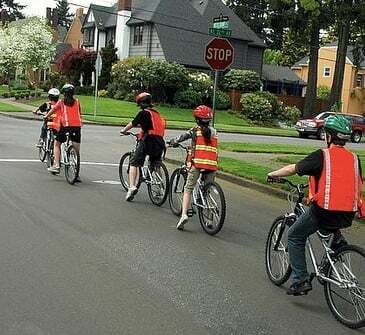 Milwaukie doesn’t have a citizen biking or pedestrian advisory committee. But public support for biking and walking improvements has led to something interesting: the city’s public safety committee has broadened its focus and is now taking a lead role on infrastructure planning. The Bicycle Transportation Alliance’s campaign to get walking and biking education and infrastructure to public schools across the Portland metro area got two strong boosts this month. In successive unanimous council resolutions, the suburban cities of Milwaukie and Tigard voted on March 17 and 24 to ask the Metro regional government to dedicate funding to programs like the ones currently enjoyed by many Portland elementary and middle schools. TriMet has at least $34 million, and maybe much more, unspent within the project’s scope of work. Four years after the Portland area’s transit agency furiously chopped costs and recruited other local governments to balance the budget for its new $1.5 billion rail line, the price tag so far is turning out to be more like $1.3 billion. Though a few remaining bills have yet to be paid, the combination of far more cost-efficient track and systems construction than expected and persistently low interest rates has been so large that TriMet has been searching for new ways to spend some of the unexpected surplus locally. new path on 17th Ave tonight. After we posted a story yesterday about a Milwaukie real estate owner who plans to demolish his retail building on Main Street and build a parking lot, we heard from a few readers who worried their hometown was getting a bad rap. 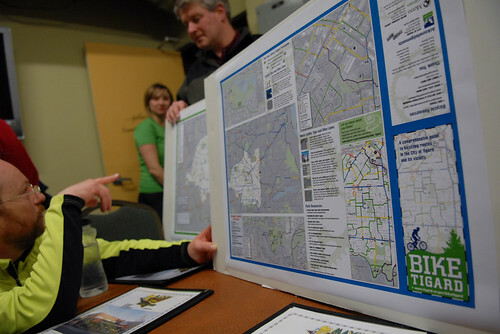 Truth is, there is a lot of positive momentum for bicycling and livable streets in Milwaukie. Reader Matt Menely has been advocating for bikes in Milwaukie for many years. He got in touch to tell us about tonight’s city council meeting — which has an agenda that’s chock-full of bike-related projects.